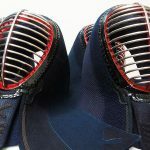 Today, there is a tendency to wear lighter kendo equipment, including the do-dai which is the topic for this article. It is unfortunate, but the bamboo do-dai coated with urushi (Japanese lacquer) is in fact losing popularity. Synthetic do-dai (Yamato-do) or the do-dai made of fiber have become ubiquitous in use amongst kendoka across the world. Urushi is an expensive and time-consuming art, so it is eassy to see why it is not popular, it also begs the question, can lacquerware really stand up to being struck by a shinai? Some examples of Japanese urushi lacquer are deocrated with gold leaf powders and other materials to make beautiful and stirking designs. The answer is actually yes. Urushi is a very strong natural coating that responds well to impacts if applied to a solid foundation. Of course if you smash a lacquered vase with a shinai it will break, but at least the urushi will still be in good condition! If that urushi is applied over a strong frame of bamboo staves and hide then it actually offers a great amount of protection, not just beauty. Lacquerware done with an urushi coating is called ‘shikki’ Japanese. The shining black of urushi has been highly valued as a traditional handicraft for its beauty and strength, and it has been used for food vessels, high-quality furniture, and musical instruments. In martial arts, it is used for the saya (sheath) of the katana and other blades. It is resistant against volatile chemicals both acidic and saline. It is also electrically non-conductive. It is used in food vessels and furniture because of its antiseptic and insecticidal qualities. But what is really amazing about urushi is that these qualities last semi-permanently. Urushi vessels from many centuries earlier are often discovered, but the quality of urushi has hardly deteriorated. 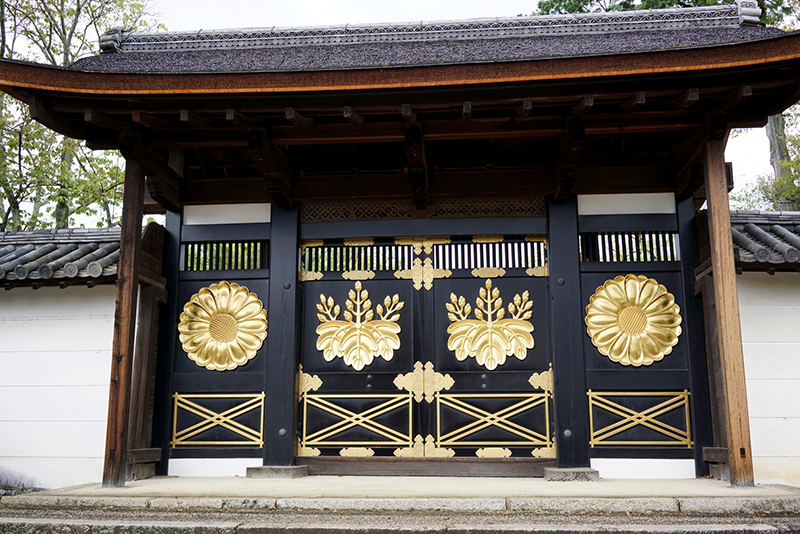 The gate of Daigo temple in Kyoto features exquisite black urushi lacquer upon its doors. 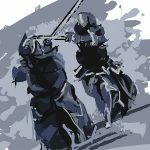 One may assume that such strength would be the reason for usushi being used in martial arts gear, but it is only in recent times that urushi has been used. As Japan has become wealthier the do-dai have evolved and urushi is now used more as a decoration (albeit one that can take a beating!). Before that, a bamboo do-dai (takedo) or a do-dai with leather attached to the bamboo was used – these are called kiji-do and are well loved by many traditionalists becuase of their no-nonsene yet still beautiful looks. A desire for higher quality do-dai and economic improvement combined to bring about the birth of urushi do-dai. 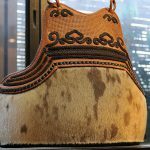 in Japan Consequently, the qualities of the usushi contributed to preserving the do-dai well, but this evolution in do-dai coating resulted not from a desperate need, but rather a natural desire to wear something more elegant and beautiful. 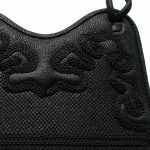 There are many methods and techniques for urushi coating, but there is one marked difference between the urushi used for do-dai and all others – the urushi used for do-dais is expected to be hit. No matter how strong the natural material is, when it is used for something that would inevitably get hit, it needs to be coated in a way that gives it extra strength. Layer after layer of urushi is painstakingly applied to the dodai to create a beautiful and robust finish. The urushi coating process can be roughly divided into the “painting stage” and the “polishing stage”. The painting stage is further divided into four stages: of “suteji”, “shita-nuri”, “naka-nuri, “uwa-nuri” and the polishing stage has 5 stages of “sumi-zuri”, “do-zuri”, “uwazuri”, “kanso” and “tsunoko-migaki”. In the “suteji” stage, unrefined, raw urushi is painted. Together with the next “shitaji” (under-painting) stage it is very important. The “naka-nuri” (mid-painting) and “uwa-nuri” (upper-painting) is where many layers of urushi is painted. If the paint is too think, it can peal off, so getting the balance right is where the craftsman show their skill and experience. Suteji: this is the base coat of raw unrefined urushi. Shita-nuri: “under-painting” this lower layer along with the suteji provides a critical foundation for the layers above to adhere to. Naka-nuri: essentially the “mid-layer” this combines with the upper layers to bring forth the rich colour of the urushi. Uwa-nuri: the “upper painting” – alongside the naka-nuri these constitute the many layers that when balanced correctly provide a beautiful and strong coat of urushi. 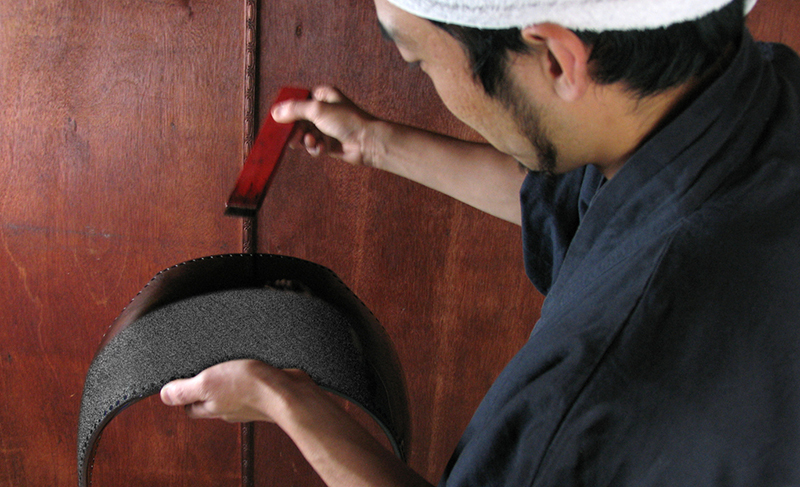 Sumi-zuri: this initial polishing is fairly coars and removes the brush marks and slashes from the surface of the dodai. This is to level and create an even finish across the surface. Do-zuri: this second stage mixes a polishing powder with oil and starts to bring the surface up to a fine smooth texture. Uwa-zuri: this completes the polishing and brings about the urushi’s famous sheen. Kanso: tihs means “drying” and is relatively self-explanatory. Tsunoko-migaki: once completely dry the dodai is then subjected to one final polish using a powder made from deer horn. This polishing process brings forth the richness of the colour of the urushi, which is usually black, but can be deep reds and browns and even blues and purples. This whole process of polishing is sometimes repeated up to three times to achieve the necesarry level of finish demanded by the artisan. As you can see, the creation of a lacquered do-dai is quite an arduous process, though it is difficult to argue with the results. Top-quality ones are often inlaid with gold-leaf or other have other highly artistic flavors added to them. The owner must therefore know how to take care of it. Urushi is strong, but if it becomes sweaty and is left untendered, it may attract dirt and the urushi may lose its shine. Like chopsticks, bowls and boxes with high-quality usushi, it is best to wipe it with a dry cloth after use. If there is any stain on it, remove it with neutral detergent. It is vulnerable to UV-rays, so it should not be exposed to direct sunlight. 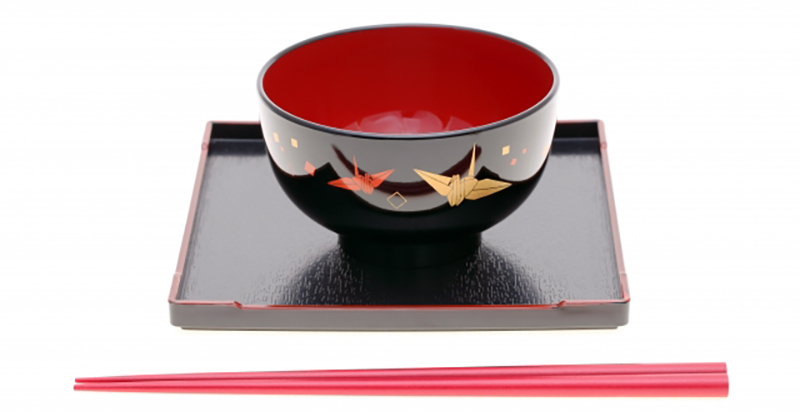 Urushi lacquer appears in all kinds of traditional items like bowls, plates and fans. Knowing how our tools are made helps us take care of them and prolong their life. Naturally our attachment towards them grows in tandem. When we develop a bond with our tools it elevates their use and our gain, in essence we become more attached to the activity. That is why in martial arts teachers always teach us how to treat our tools with care. Why is the inside of the Kendo Men’s Mengane painted red? 2016/02/05 – New Tozando Custom-made Do Available!